BLOX ECU Jumper Harness UNIVERSAL - Dezod Motorsports Inc - Home of the automotive performance enthusiast since 2002. 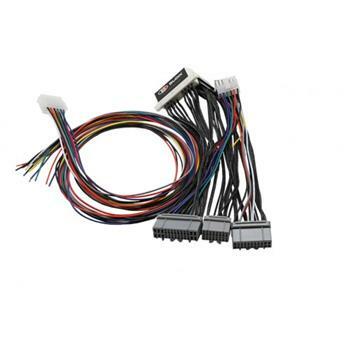 BLOX Racing ECU Jumper Harnesses make ECU wiring a snap and totally pain free. BLOX Racing harnesses are made using a specially made, silicone fiber-reinforced wire providing better heat protection and resistance to oil than our competitors. Each connector is pinned to ensure that factory sensors are available to reuse. The secondary pigtail provides the necessary starting point to wire in a 4-wire oxygen sensor, VTEC solenoid and pressure switches and knock sensor. BLOX Racing has also included provisions for set-ups choosing to reuse the factory IAB solenoid.